Fill a cocktail shaker with ice. Pour in the ingredients and shake well. 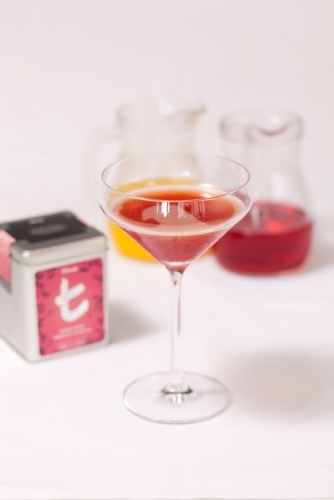 Strain into a martini glass and garnish with colourful edible flowers.